Global criminology is an emerging field covering international and transnational crimes that have not traditionally been the focus of mainstream criminology or criminal justice. Global Criminology: Crime and Victimization in a Globalized Era is a collection of rigorously peer-reviewed papers presented at the First International Conference of the South Asian Society of Criminology and Victimology (SASCV) that took place in Jaipur, India in 2011. Using a global yardstick as the basis for measurement, the fundamental goal of the conference was to determine criminological similarities and differences in different regions. Terrorism. In a topic that operates at the intersection of international law, international politics, crime, and victimization, some questions remain unanswered. Is terrorism a crime issue or a national defense issue? Should terrorists be treated as war criminals, soldiers, or civil criminals? How can international efforts and local efforts work together to defeat terrorism? Cyber Crimes and Victimization. Cyber space provides anonymity, immediate availability, and global access. Cyber offenders easily abuse these open routes. As cyber space develops, cyber-crime develops and grows. To achieve better cyber security, global criminologists must explore cyber-crimes from a variety of perspectives, including law, the motivation of offenders, and the impact on victims. Marginality and Social Exclusion. Globalization is manifest in the fast transition of people between places, societies, social classes, and cultures. Known social constructions are destroyed for new ones, and marginalized people are excluded from important material, social, and human resources. This section examines how we can provide inclusion for marginalized individuals in the global era and protect them from victimization. 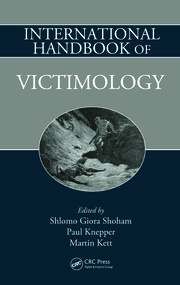 Theoretical and Practical Models of Criminal Victimization. The process of globalization, as mentioned above, creates new elements of victimization. But globalization can also become an opportunity for confronting and defeating victimization through improved sharing of knowledge and increased understanding of the humanity of the weak. 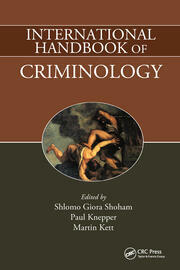 The emerging global criminology comprises diversity of attitudes, explanations, and perspectives. 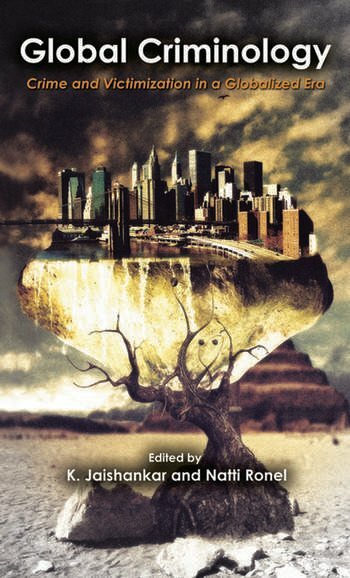 The editors of this volume recognize that in the global village, there is room for solid contributions to the field of criminology and criminal justice. This collection is a move in this direction. It is hoped that these articles will help to expand the boundaries of criminology, criminal justice, and victimology with a view towards reducing crime worldwide. K. Jaishankar, Ph.D., is a senior assistant professor in the Department of Criminology and Criminal Justice, Manonmaniam Sundaranar University, Tirunelveli, Tamil Nadu, India and President of the South Asian Society of Criminology and Victimology (SASCV). He was a Commonwealth Fellow (2009–2010) at the Centre for Criminal Justice Studies, School of Law, University of Leeds, UK. 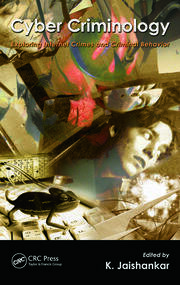 Natti Ronel, Ph.D., is an associate professor in the Department of Criminology, Bar-Ilan University, Ramat Gan, Israel. He is also a licensed clinical criminologist who has a private practice with the criminal population, youth, and adults who exhibit addiction, violence, and/or victimization. He leads training courses for criminal justice and victim assistance professionals.